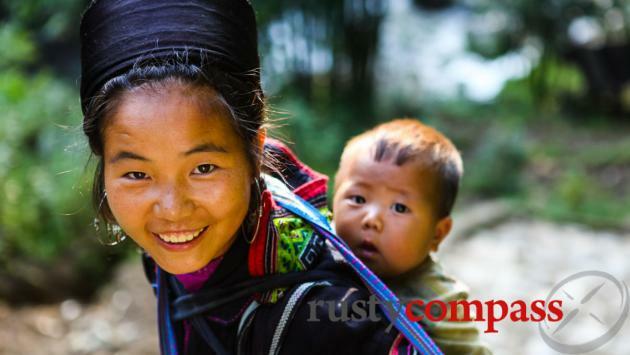 An independent travel guide to Sapa with candid reviews and recommendations. No sponsored content, no advertorial. A French colonial survivor. Few remain. 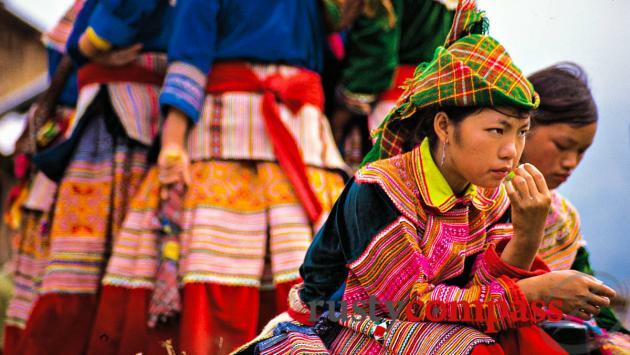 The mountains and ethnic minority cultures around Sapa. 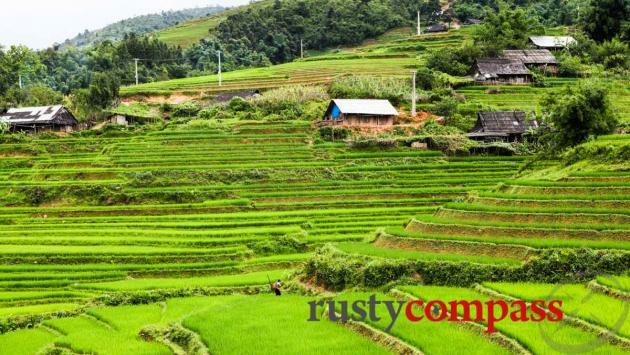 Set amidst spectacular, misty mountains, covered in rice terraces, Sapa is the centre of tourism in this uniquely beautiful region, on Vietnam’s border with China. 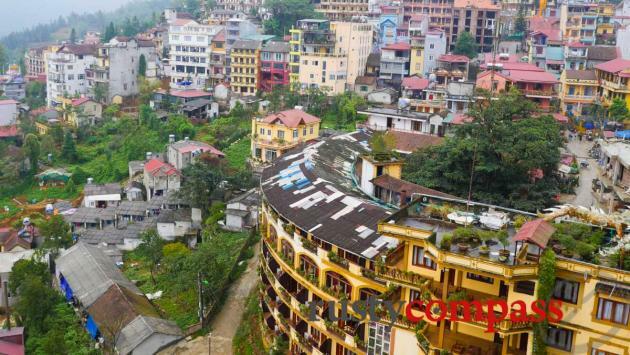 * Sapa town is developing way too fast and the impact is starting to show, with noise, congestion and a dramatic loss of character in the town. * Get out of town, even on foot, and the mountain walks and village life are in most cases, holding up surprisingly well. 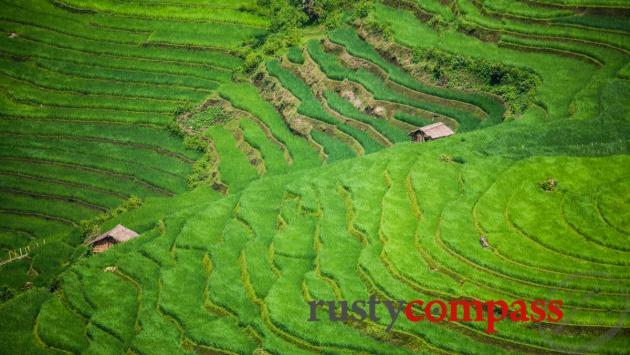 There are still memorable experiences to be had all around Sapa. 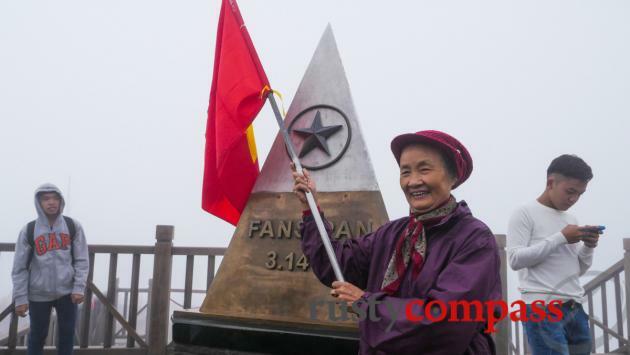 * A new cable car and mega-development at the top of Mount Fansipan, the highest peak in Vietnam, encapsulates the problem. Hundreds of millions of dollars have been spent building a grandiose tourism extravaganza, while those below live as they have for centuries. 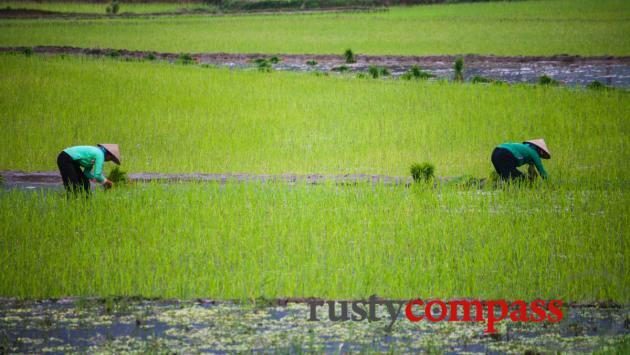 Sapa is being stretched to its limits and local minorities seem to be at the wrong end of most development. * Avoid weekends - the crowds that descend fill the hotels and restaurants. But Sapa is still worth the effort. 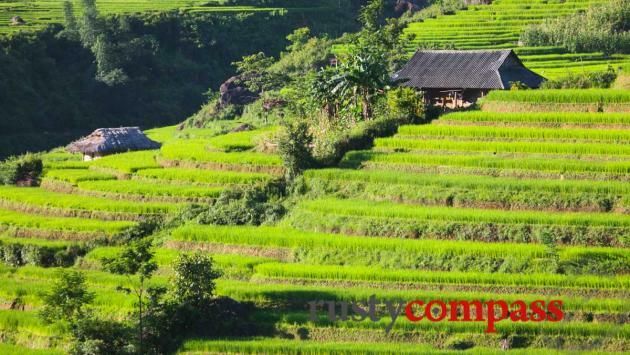 * Sapa can now also be a gateway to other less busy mountain wonders such as Dien Bien Phu, Lai Chau, and Ha Giang. 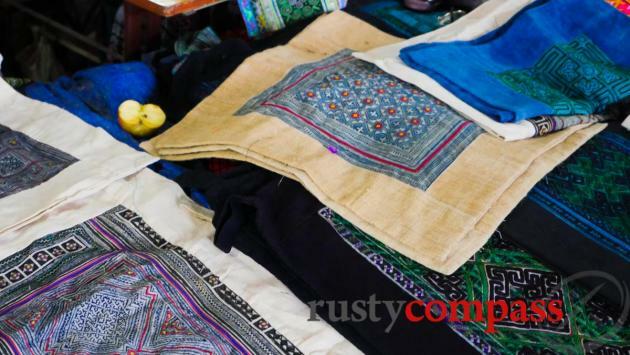 * Head 1km out of town to the new market and support the Hmong and Red Dzao women selling their handcrafted textiles. They’re hidden away upstairs - well worth the effort. 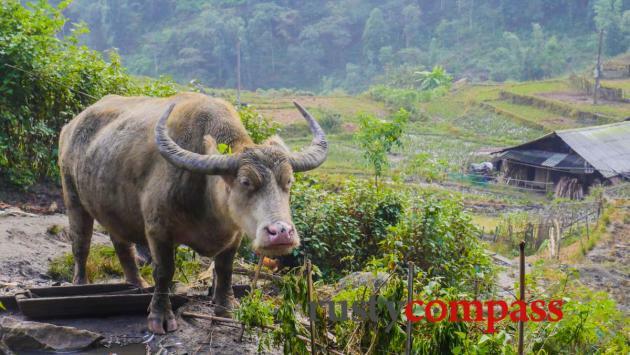 While the town may be showing the strains of breakneck, chaotic tourism development, you don’t have to travel far, for a sense of the breathtaking landscapes and the incredible ethnic diversity that have made Sapa a favourite place for travellers. Ethnic minorities, mainly Black Hmong, have inhabited this part of Vietnam for centuries. They originate from southern China. 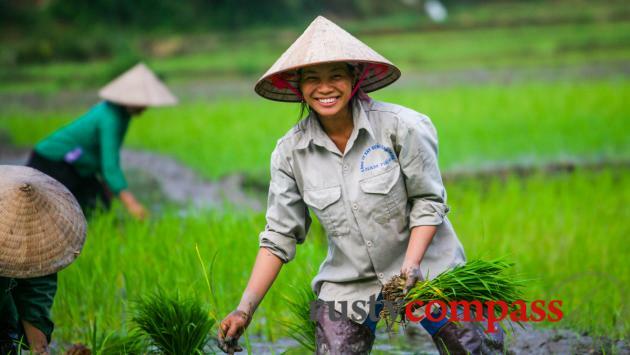 Check out our Sapa videos above. 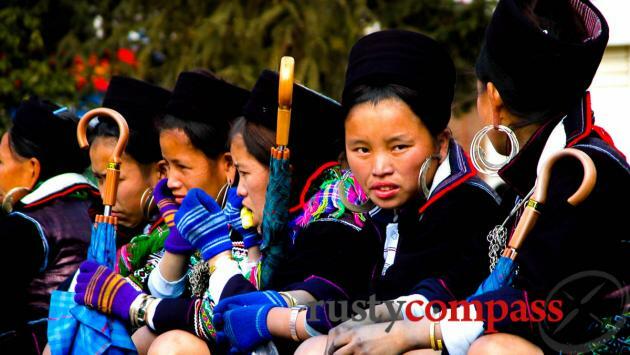 The Hmong are still the biggest ethnic group in the area, despite a big influx of ethnic Vietnamese (known and Kinh) on the back of the tourism boom. French colonial forces passed through the area around Sapa in the late nineteenth century, securing control of the far northern frontier of their newly acquired colony. Settlement came decades later in the early twentieth century, and the town became a popular escape from Hanoi’s sticky summer heat. 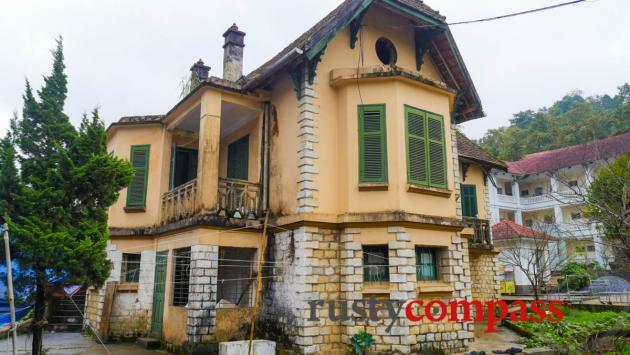 By the 1930s, Sapa was a classic, colonial hillstation, boasting an impressive collection of villas and a hospice. 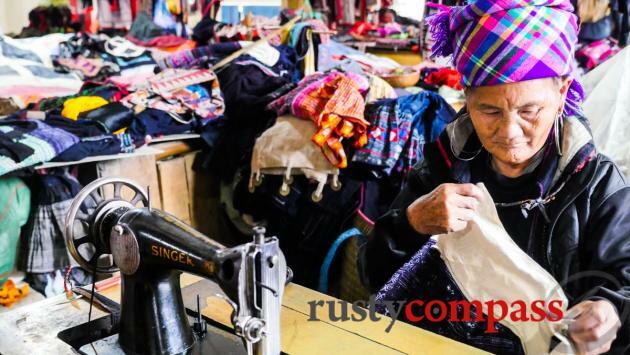 Despite its remote serenity, Sapa saw plenty of twentieth century conflict. Over assorted wars, most of the original buildings were destroyed by the Viet Minh, the French, or the Chinese. Almost everything still standing when peace descended was cleaned up by hotel developers during the past two decades. The quaint church at the top of town managed to survive as did a handful of other buildings. Sapa is still easy to get around on foot. Everything is close by. But motorcycles, cars and buses increasingly clog the streets. And concrete-intense hotel developments reach ever deeper into the rice terraced valleys. Sapa is one of the most popular trekking areas in Vietnam. You can choose your adventure level and duration. There are magnificent walks for all fitness levels, some running over many days. For the less mobile, many spectacular spots can be accessed by car. 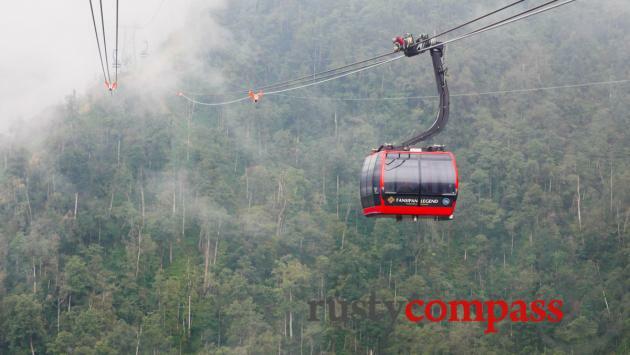 If you’re thinking of conquering Fansipan though, the newly opened cable car (2016), might have taken away some of the romance. 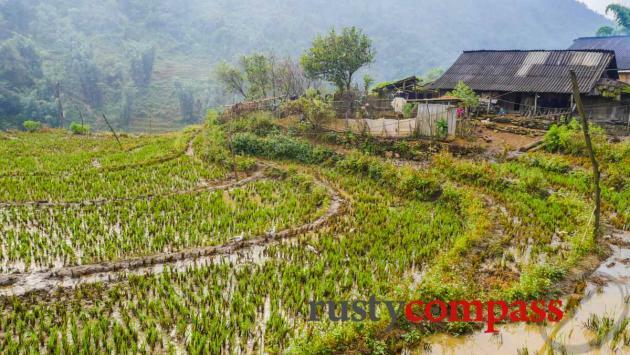 Sapa’s weather can be highly unpredictable so pack for all eventualities. It can be bitter cold in winter and recent years have seen hitherto unusual snowfalls in December. Summer days can be very hot with cool nights. Heavy mist and rain have dampened many a stay. Even in bleak weather though, Sapa is well worth the journey. Road improvements mean that buses between Sapa and Hanoi usually only take around 6 hours. The allure of the train remains - but there’s now a very viable alternative. Try and spend two days exploring the surrounding countryside. 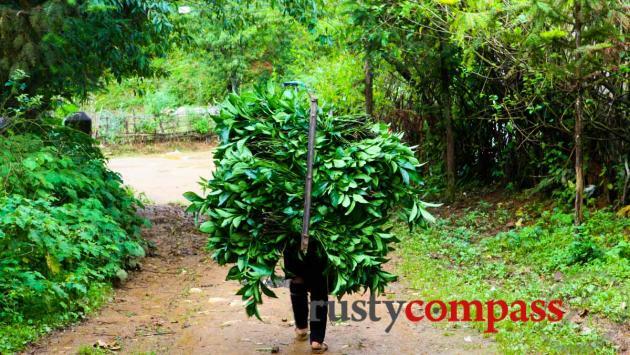 The mountain walks and fresh air will likely be a refreshing contrast to Vietnam’s other travel offerings. 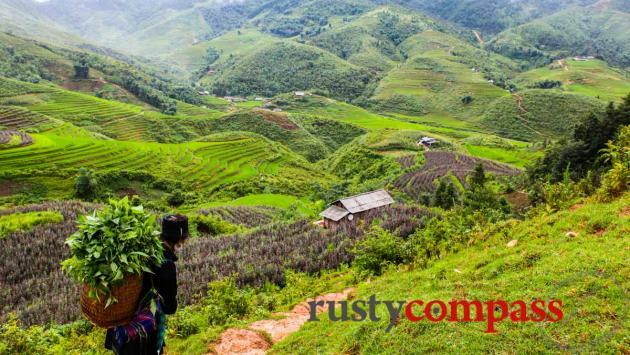 Sapa experiences four very distinct seasons and the winters (December to February) are cold and misty with low visibility (top temps around 13 - 15 degrees and lows under 10 degrees). There have even been snow falls in recent years. The most popular times for travel are spring (March to May) and autumn (September - November). I also enjoy the wet season months between June and August (highs in mid 20s). Nights are always cool to cold so definitely bring a jacket. Sapa can be misty and damp any time of year - that’s part of its beauty. 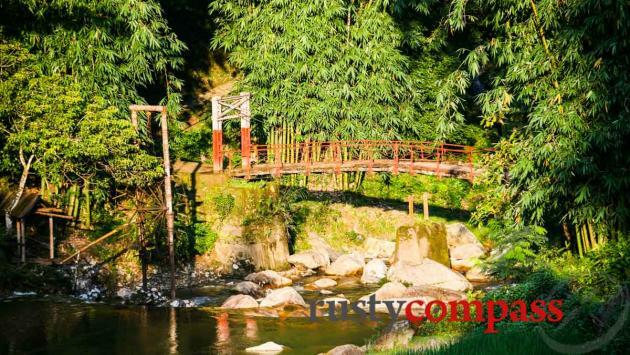 The train was once the preferred means of transport to Sapa but a good new road between Lao Cai and Hanoi and regular good buses are making the easy 5 - 6 hour road trip more appealing. 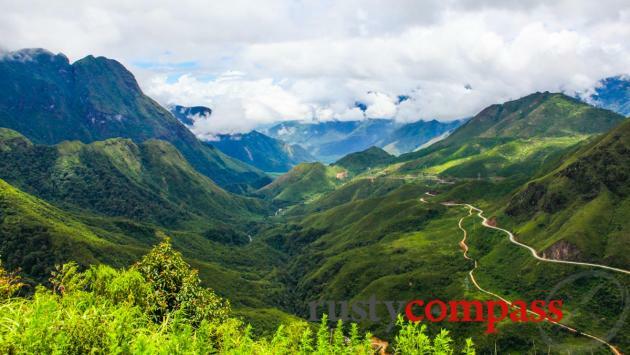 Travellers with more time are exploring new routes made possible by improved roads west to Dien Bien Phu and Laos as well as east to Ha Giang, Cao Bang and Lang Son. The road trip between Hanoi and Sapa is now very straightforward and coaches as well as smaller “limousine” buses operate regular services from around 15USD each way. We took the smaller limousine service for extra legroom. It was 25US one way. Tickets are available around Sapa and in cafes in Hanoi's Old Quarter. Be sure you get on one of the better quality buses. Only a few years ago, most people travelled to Sapa by rail. The road is more popular these days. Rail enthusiasts will still want to consider the train. Vietnam Railways has done deals with various companies to attach their private carriages to the trains that run between Hanoi and Lao Cai station - 38 kilometres from Sapa. They offer a reasonable level of comfort in four berth soft sleeper cabins at around $30 - $40 one way. Tickets for these should be purchased via your hotel or a travel agency. I could not find any ticket outlet at Hanoi Railway Station selling these privately operated carriages. If you're feeling energetic, you can spend most of your days in Sapa on foot. 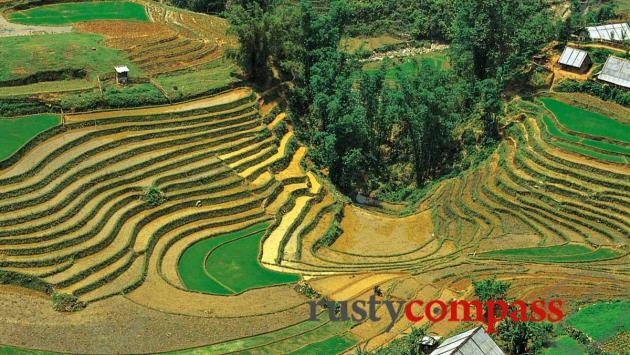 Even the most frequently visited spots like Cat Cat, Sinh Chai, Y Linh Ho and Lao Chai are beautiful walks from Sapa. And you'll likely miss the crowds if you're on foot too. You’ll need to allocate more time. It's very common to travel on foot into the villages (mostly downhill) and then by car or motorbike back. These walks are not difficult but you'll need to be of a good level of fitness and mobility. Many travellers rent motorbikes or take xe om (motorcycle taxis). Xe oms have the advantage over motorbikes of allowing you to stop and walk freely wherever you want without being tethered to a motorbike. Xe om drivers can be helpful as well. 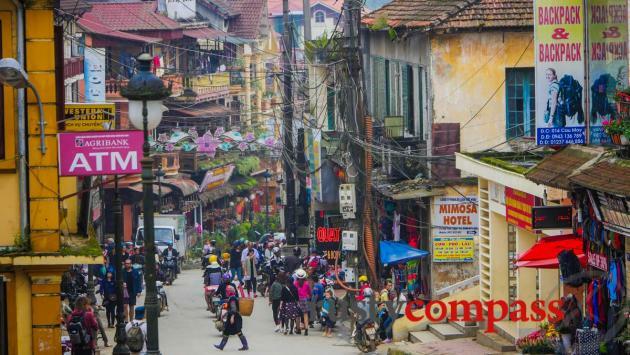 More serious trekkers will want to get further away from Sapa town - either by motorbike, xe om, car or bus. There is bicycle and motorcycle hire available in Sapa. As the countryside is moutainous, you'll need to be very fit to cover it on a bike. 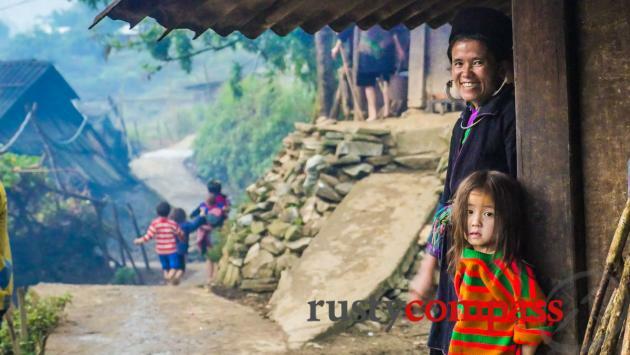 Sapa, like most of rural Vietnam, is very safe. The biggest hazards travellers face are motorcycle accidents or falls. Petty crime of the kind experienced in Saigon, Hanoi and Nha Trang is rare. 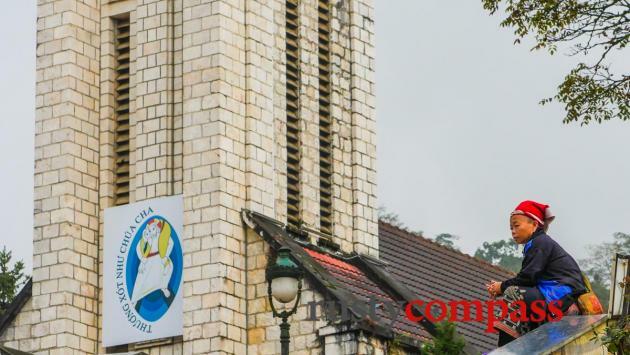 If you do fall ill or have an accident, medical facilities in Sapa are very basic. Try to avoid them if you can. But bear in mind that the nearest international standard facilities are back in Hanoi - a long way away. There is a large hospital in Lao Cai (38kms from Sapa) if you need more urgent treatment. Sapa Hospital cnr of Dien Bien Phu and Pham Ngoc Thach St.
Talk to your hotel or travel company for further assistance. Stay away from drugs in Sapa and make sure you're properly insured for whatever it is you're planning in terms of motorcycle riding. Wifi is now ubiquitous in Sapa. Most hotels, cafes, bars and restaurants offer free wifi. Sapa town is served well by the major telcos with good telephone and reasonable 3G services if you've purchased a local SIM. Viettel, owned by Vietnam's military, has the best coverage in remote parts so will be your best when trekking or heading out of town. There are ATMs and banks in Sapa. Keep a stash of cash on hand just in case the ATMs go down.